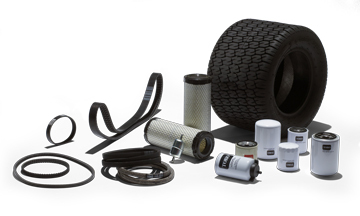 We carry a wide range of parts for all of the brands we sell, and a few more additional brands. Call us if you are unsure whether or not we sell the brand you are looking for. *** Please have model and serial numbers available when calling or stopping by; it significantly speeds up the process, and accuracy, of finding the parts you need. Click on your brand below to find your part and part number easier. Click on the logo to go to each brand's parts lookup system. We provide service for all of the brands we sell. Please call us for current turnaround times on equipment repairs. Tune-ups include fuel system clean-up, complete engine and transmission check, oil change, blade sharpening, cable and wheel lubrication, and changing of the spark plug. Quoted prices are for labor only; parts are additional. *ESTIMATE FEES WILL BE APPLIED UP FRONT ON CERTAIN EQUIPMENT OR EQUIPMENT NOT WORTH REPAIRING.